BP Oil started drilling in October 2009, but the rig was damaged by Hurricane Ida in late November that year. The company decided to switch to the Deepwater Horizon oil rig and resumed drilling on Feb. 6. 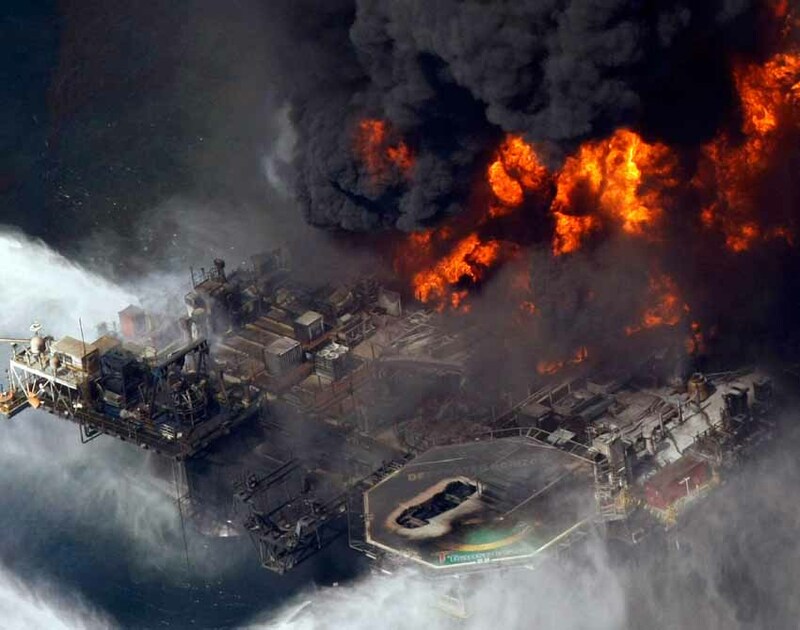 The rig was 43 days late for its next drilling location by the time it exploded April 20, costing BP around $500,000 each day it was overdue it appears. With this in mind measures were hurried to meet dates and this is where the problem began and the mistakes lead to the explosion of the Deepwater Horizon Oil Platform in the Gulk of Mexico and the World's worst disaster. Remember the corners cut and the engineers avoided the safety issues that could have saved this from happening --therefore human error. 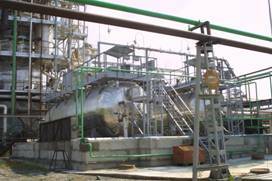 As BP found itself in debit costs it did not want their engineers to adhere to strict safety measures but instead went ahead to cut corners in the well design, cementing and drilling mud efforts. The installation of safety devices known as "lockdown sleeves" and "centralizers" were also not an issue it seemed as a necessity . In the design of the well, BP company apparently chose a riskier option among two possibilities to provide a barrier to the flow of gas in space surrounding steel tubes in the well. This would save BP $7 -- $10 million as well as time to completen as the original cost estimate for the Hoprizon deepwater Platform job was around $96 million. In an e-mail on April 16 2010, a BP official involved in the decision explained: "It will take 10 hours to install them. I do not like this." Later that day, another official recognized the risks of proceeding with insufficient centralizers but commented: "Who cares, it's done, end of story, will probably be fine." This is just a way things can be done without due thought of safety--- cost savings. BP decided against a 9 to 12-hour procedure known as a "cement bond log" that would have tested the integrity of the cement. A team from Schlumberger, an oil services firm, was on board the rig, but BP sent the team home on a regularly scheduled helicopter flight the morning of April 20 2010. Now who made this recommendation to send the Schlumberger, oil services team home? Less than 12 hours later, the BP oil rig Deepwater Horizon oil rig under lease by BP exploded, with 126 individuals on board. After a massive explosion, all but 11 of the crew managed to escape as the rig was consumed by fire, later collapsing and sinking into the Gulf. As at June 19th 2010 the oil is still flowing out of the well. Preliminary reports suggest the rig exploded due to the failure of a blowout preventer to shut off the flow of oil on the drilling rig and the lack of a backup safety measure, known as a remote control acoustic shut off switch, to operate the blowout preventer but theres actually more to why BP took the shortcut!!! We will explain to you what they should have done! BP also failed to fully circulate drilling mud, a 12-hour procedure that could have helped detect gas pockets that later shot up the well and exploded on the drilling rig. * oil industry accidents and spillages that had significant bottom line impacts due to loss of credibility and lower share prices, increased insurance rates and legal suits. The recent Petrobras incident where a floating drilling and production platform sank in the early stages of its production life joins many other high profile oil industry losses that distort the real value of the industry. It is also a time when deep well drilling will cause unprecedented environmental impacts due to the inefficiency of oil companies to plan ahead and be bale to work at such depths which would crush any submarine over 7000 meters etc. Now we have BP who failed to adhere to proper safety issues in a well thats over 4000 metres deep.